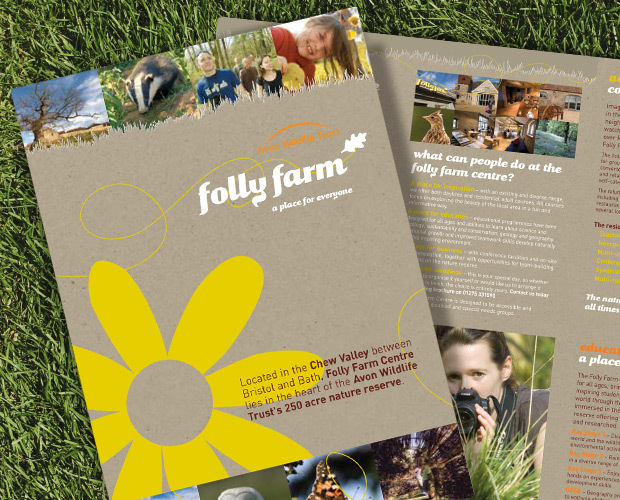 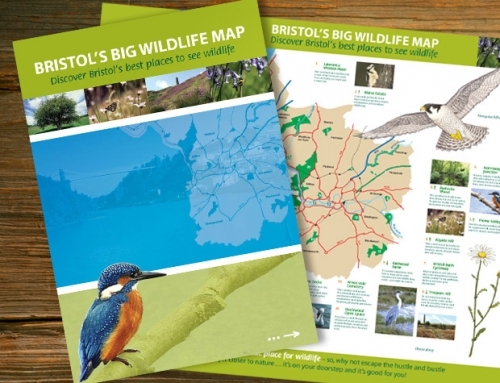 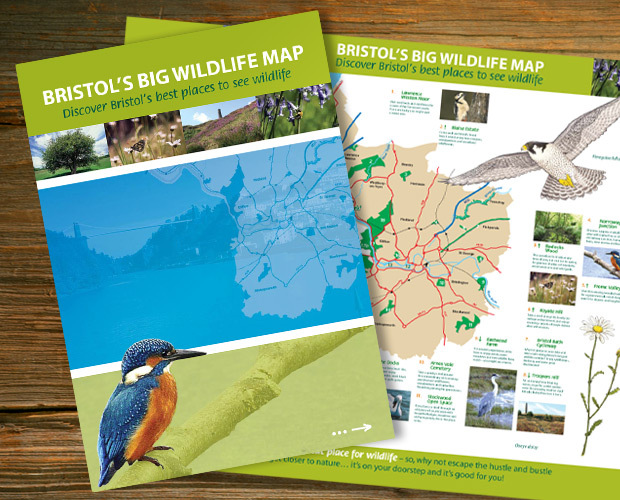 Bristol City Council’s ‘Wild City Project’ asked us to design interpretation for a local nature reserve. 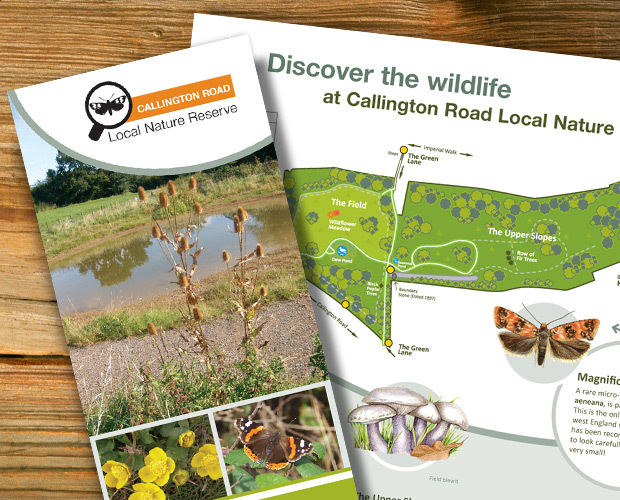 Callington Road Nature Reserve was established by the council and designated a Local Nature Reserve in 2009. 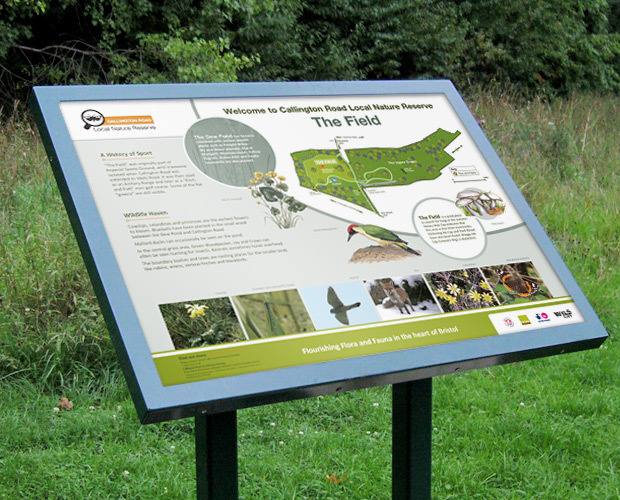 It has been awarded a Site of Nature Conservation Interest. 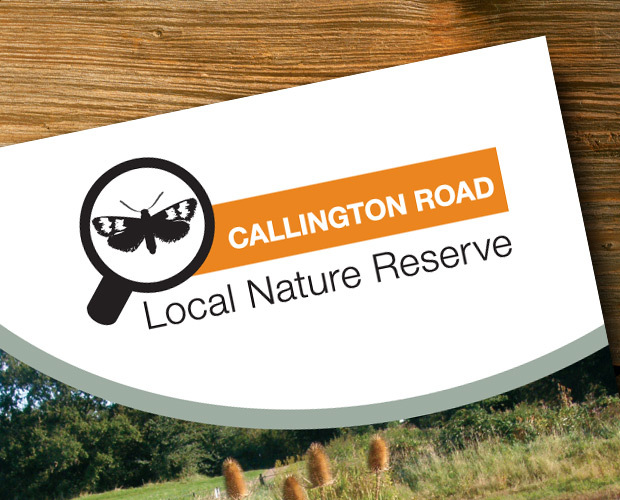 OBJECTIVE: To raise the profile of the Callington Road Nature Reserve, reach a wider audience both young and old, and highlight wildlife unique to the reserve. 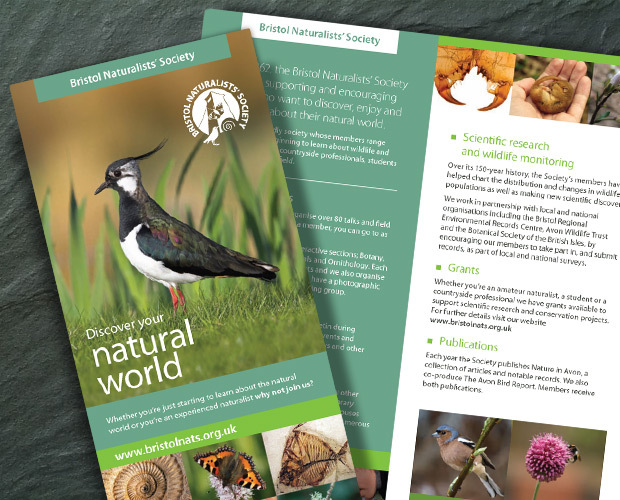 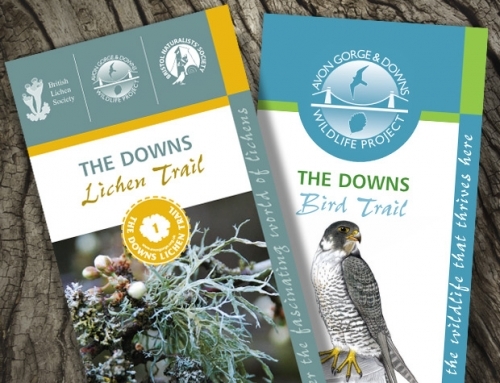 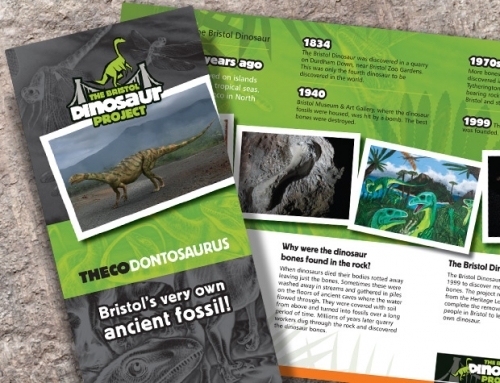 OUR SOLUTION: We created a visual identity, supporting A3 folded leaflet (12 page) and three engaging A1 interpretation panels with reserve map. 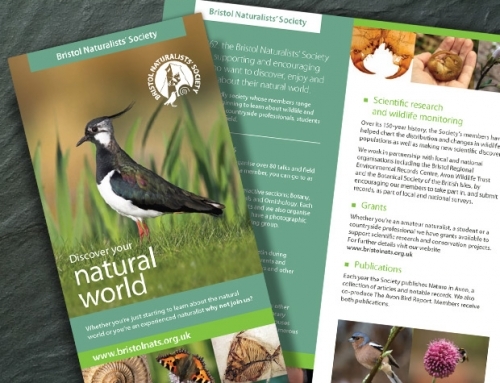 Our illustrator produced some stunning illustrations, including a rare micro-moth ‘Commophila aeneana’, unique to the reserve.